Carol Frohlinger has been selected to serve as an advisor to a team of six law firms who’ve signed on to participate in the Women in Law Hackathon. 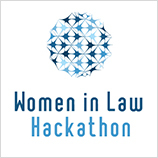 The Hackathon, the brainchild of Caren Ulrich Stacy, CEO of Diversity Lab, is an innovative “Shark Tank” style competition intended to create solutions to close the persistent gender gap in law firms. A total of fifty-four firms will be participating in the Hackathon with Stanford Law School and Bloomberg Law. Each firm will be represented by a partner; nearly two-thirds of the participating partners are managing partners, practice group chairs or hold other senior leadership roles at their firms. In addition to serving as a strategic advisor and subject matter expert to the team as it defines the problem the team will propose to solve, Carol will serve as a preliminary judge to offer feedback at the presentation dress rehearsal in advance of the pitch to judges at Stanford Law School on June 24, 2016. Read more about the Hackathon as described in the formal press release distributed by Diversity Lab.